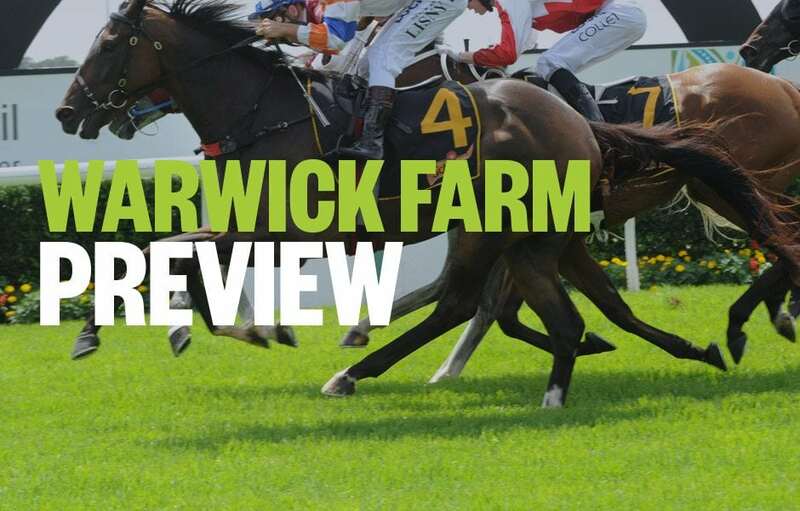 Palmerbet Racing Team previews Saturday’s Warwick Farm meeting, with horse racing tips and analysis for all nine races on the card. Good luck, punters! It would seem the little brother of former Golden Slipper winner, She Will Reign, is nearly as good. His name is TIME TO REIGN and he resumes in this. Trial form is great and looks too fast and too strong first up here. BIVOUAC is one of the many stars from the Godolphin juvenile factory. Hit the line impressively when 3rd similar race when resuming last start. COSMIC FORCE won only start and was sent for a spell. Resumes here and the whisper is he is pretty smart. Good race. NOBLE BOY can win this and still be eligible for the upcoming Country Championships. He is very, very good and is the early favourite to win that $1million series. Is unbeaten in 3 starts and this should just be a stepping stone. GUNDY is talented too and in form so looks a strong place show while the unbeaten SAUSEDGE resumes here. She has looked very good in her region and may pay to have in numbers too. CAMDUS is a hard-finishing sprinter who is top shelf. He has just transferred to John Thompson at Randwick from Darren Weir’s yard. The 3kg claim makes him a big threat as he sits back and runs on. SUPER TOO is at home and is about the fastest horse in the land for 800m. Will be in front for a long way while SINGLE BULLET comes in well at the weights. He too is at home and comes off the pace and did that to score in the same grade last start. Fitter now. SANDBAR is one of those under-the-radar types. He isn’t considered top shelf this grade but always runs well. Word is he has come up very, very well this time in so he looks the one to beat. BRUTAL is unbeaten in 3 starts and looks set for stardom. Faces a strong, fast field here first up. Led to win stakes race last start before spell and has won a recent trial. Smart horse. CHARGE has won at this track and he is also a stakes winner this trip. Resumes here but has had 2 trials and Hughie to steer. Big threat. ROYAL CELEBRATION is as reliable as Santa coming every year at Christmas. Just gets into a good spot and gets the job done. Resumes here but has drawn well and is very honest. Good chance. ESTIJAAB is the defending Gr 1 Golden Slipper winner and this is her first start since that great all the way win. Trialled okay, before losing rider in another recent trial but if she is on song, will destroy these. FIESTA is as tough as teak and very smart. She will get back but will be charging late. Is emerging. This might be a tad short for EGG TART but she is all class in this grade and will be rushing home late. Is resuming here and drawn the fence. EGYPTIAN SYMBOL is a superstar this level on her day. Showed that with her powerhouse come-from-behind win when resuming in a similar field at the Gold Coast last start. Her stablemate CHAMPAGNE CUDDLES is top shelf too and also ran boldly in Melbourne when resuming for 3rd. She’s drawn perfectly and should be on pace all the way. Terrific race. ACCESSION has shown in all his 3 starts to date that he is a superior juvenile. He sits just off speed then just unleashes at an astonishing pace. Drawn deep here so probably gets a pair back further than he’d like but his class is awesome. DAWN PASSAGE looked equally as good on debut when he let rip down the centre of the track and roared away to win very impressively. Drawn to get equally good run and should be flashing home. MY FIRE PHOENIX won low key maiden on debut then caught between runners when fair 4th similar race last start. Is pretty smart too. Smart but luckless stayer BRIMHAM ROCKS resumes here and looks well placed. Nicely drawn and should be in top 5 all way. No surprise to see him out kick all of these. MORTON’S FORK is resuming here but is always a threat this grade. Is tough and honest. TANGLED was very good when resuming in a better race last start when 3rd. Is in and out but on his day he is Gr 1 grade. LOVE SHACK BABY looks the play – as long as he doesn’t drive hard early to try and lead. RAPIDO CHAPARRO is tough and fast too and he will go to the front. So Love Shack Baby, who is trained here and racing in terrific form, looks to sit off the speed and stalk. Then unleash. ANIMALIA has found form in the bush and is very good this trip. Can place at good odds.